Brussel sprouts…I know, I know…yuck right? WRONG! Actually, they are pretty good. It just depends on how you prepare them. Often times they are overcooked and have a very nasty, sulfur like smell and taste to them. Please, consider this: Brussels sprouts not only taste good but they contain a potent chemical called sulfoaphane, which is believed to have potent anti-cancer properties (boiling reduces the anti-cancer properties). Mushrooms, are another of those delectable treats that many turn their noses at. If you have ever roasted a mushroom, you will know how the taste changes from a simple mushroom to this moist, flavorful morsel that disappears the moment it is cooked. Both of the ingredients in this dish are high in dietary fiber, which reduces cholesterol and does not cause sugar spikes. Give these two vegetables a try and you may be pleasantly surprised. 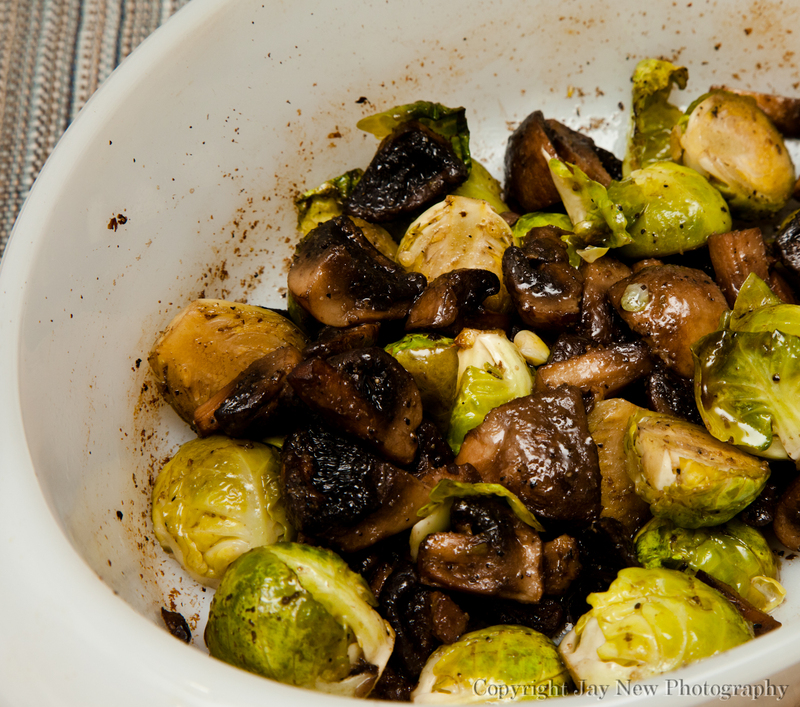 Place Brussels Sprouts and mushrooms into baking dish and drizzle olive oil and toss to coat. 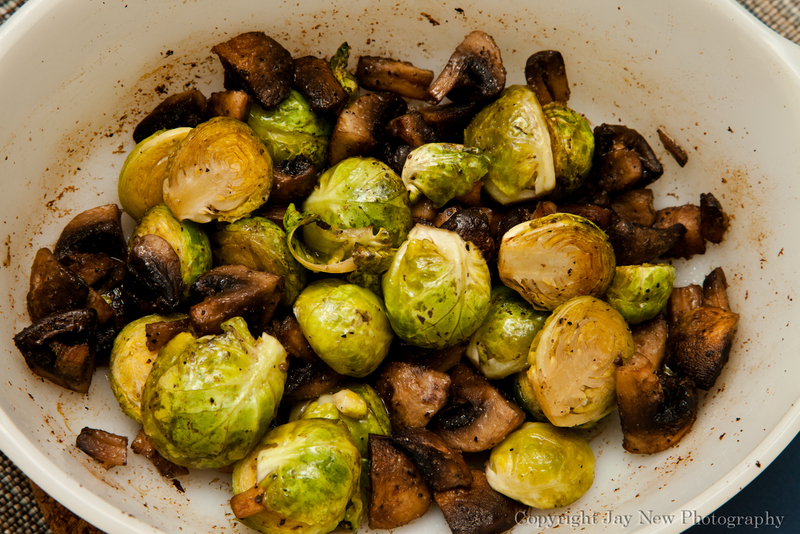 I havent thought of mixing mushrooms with brussel sprouts yet but your post urges me to do it, that looks delicious. 🙂 I can’t wait to find out, if you like it! Samina, you’re so sweet to say “Our”. In our home, the kitchen is clearly my space and I must repeatedly remind my husband of this lol. Thanks Mom! Jason took some awesome pictures too! This recipe rocked! Totally needs to be a recurring theme in our, er, uh, your kitchen. Our kitchen 🙂 and of course!